A Chinese businessman who figures into a fraud case involving Guanwei Recycling Corp. (Nasdaq: GPRC) also has an intriguing connection to Kandi Technologies Group Inc. (Nasdaq: KNDI), whose shares were allegedly manipulated by the same group. Securities and Exchange Commission filings show that the man, Rui Wang, is a member of Guanwei Recycling’s board of directors and was a consultant to Kandi. The SEC brought charges last month against stock promoter S. Paul Kelley and four associates, saying they engaged in illegal schemes to bring Gaunwei Recycling and China Auto Logistics Inc. (Nasdaq: CALI) public in the United States. The SEC said in its complaint that they concealed large ownership stakes they received through reverse-merger transactions, artificially inflated share prices through manipulative trading, then reaped millions by selling stock on the open market and in private transactions. Kelley also helped Kandi go public, through a similarly structured reverse-merger deal that put large blocks of stock in the hands of undisclosed parties. He and another defendant, Roger D. Lockhart, already have settled the charges against them, agreeing to pay a combined $9.3 million in disgorgement, penalties and interest. Guanwei Recycling and China Auto Logistics emphasized that they have not been accused of wrongdoing. But the SEC complaint, along with our additional research, raises further questions about their involvement in the Kelley group’s schemes. – The complaint said Kelley had “de facto control” over Chenxin International Ltd., which paid the U.S. legal, accounting, listing and investor-relations expenses for Guanwei Recycling, a plastics processor based in Fuqing. Guanwei Recycling, however, has always said in its SEC filings that Chenxin International was controlled by Wang. The company described him as a longtime friend of its chairman and chief executive, Chen Min. – The complaint said Lockhart and another defendant met with Kandi’s chief executive, Xiaoming Hu, in September 2009 and agreed to pay promoters to tout the company, and to boost its stock price through manipulative trading. Hu allegedly agreed that Kandi would provide an additional 350,000 shares to pay for the program. SEC filings show that a few weeks later, Kandi awarded a business-development contract to Wang and another man. They were to be paid with options to buy 350,000 shares of Kandi’s stock. – The complaint said Kelley controlled Sino Peace Ltd., which covered the U.S. expenses for China Auto Logistics, a vehicle importer with headquarters in Tianjin. The complaint said Kelley also controlled another company, Easy Fame Asia Ltd. Sharesleuth previously reported that Easy Fame Asia got an unexplained distribution of stock in 2011 from an entity that held millions of shares for China Auto Logistics’ chief executive, Tong Shiping, and his wife, Cheng Weihong, also a senior executive and board member. The timing of Kandi’s contract with Wang, and the number of shares involved, could be a coincidence. But given the charges against Kelly and his associates — and Kelley’s link to Wang at Guanwei Recycling — the deal might deserve additional regulatory scrutiny. The Securities and Exchange Commission brought fraud charges against S. Paul Kelley, a stock promoter who orchestrated a series of reverse mergers between Chinese companies and U.S.-listed shells. The SEC said in its complaint that Kelley and certain associates secretly acquired control of the shell companies used in two of the reverse mergers, concealed their holdings in the post-merger companies, manipulated the share prices and then sold millions of dollars of stock at inflated prices. The two companies that were used as vehicles for the schemes are China Auto Logistics Inc. (Nasdaq: CALI), an automobile importer based in Tiajin, and Guanwei Recycling Corp. (Nasdaq: GPRC), a plastics recycler in Fuqing. The SEC said some of the defendants also engaged in a scheme to artificially inflate the share price and trading volume for a third Chinese company that Kelley helped bring public – Kandi Technologies Group Inc. (Nasdaq: KNDI). The SEC’s complaint implicated Kandi’s chairman and chief executive officer, Xiaoming Hu, in that scheme, which began in late 2009. It said he provided 350,000 shares of stock to two of the defendants, who agreed to pay stock promoters to tout Kandi and to orchestrate a manipulation campaign to lift the shares to a predetermined price. Over the next few months, Kandi’s stock quadrupled, and volume also soared. Kelley’s activities were the subject of Sharesleuth investigations in 2011 and 2012 (see stories here, here, here and here). Kelley, a Canadian who lives in the suburbs of Toronto, agreed to settle the charges related to China Auto Logistics and Guanwei Recycling and will pay more than $6 million in disgorgement, penalties and interest. The SEC said that a second defendant, a former stockbroker from Arkansas named Roger D. Lockhart, also agreed to a settlement that calls for him to pay more than $3 million. The principals of two financial firms that sued Twitter Inc. for $124 million in damages have a history of dealings with questionable companies and questionable partners. Continental Advisors SA and Precedo Capital Group Inc. say Twitter thwarted their efforts last year to line up investors for a fund that would have acquired illiquid, restricted stock from the social-media company’s employees, contractors and other early shareholders. Twitter is poised for an initial public offering that could value the company at more than $11 billion. Continental Advisors and Precedo Capital alleged in their suit that Twitter never intended to allow the private share deals to go forward. Instead, they claim, Twitter wanted to use the process to help determine a price for the IPO. Continental Advisors, which is domiciled in Luxembourg, is headed by Andreea Porcelli and Mark Porcelli, a husband-and-wife team who previously worked as stock brokers in the United States. Sharesleuth is very familiar with the couple’s prior activities. Andreea Porcelli once was a director of AccuPoll Holding Corp., a publicly traded company that marketed touch-screen voting machines. SEC filings show that its financial backers included the children and business associates of financial felon Sherman Mazur. Continental Advisors also was the placement agent for AccuPoll for a series of convertible preferred stock sold in 2005. Before that, she was a director of Junum Inc., another public company that had ties to Mazur and a second convicted felon, Regis M. Possino. In addition, Continental Advisors was a placement agent for Material Technologies Inc. (later known as Matech Corp.), which had links to one or both of those men. Shares of AccuPoll, Junum and Material Technologies were marketed to foreign investors in the late 1990s and early 2000s by unlicensed boiler-room style brokerages operating from Europe, Asia and other offshore locations. People who bought shares in the companies through those operations lost nearly all of their money. Mazur and Possino both served prison time for fraud in the 1990s. They were indicted again last year in connection with an alleged securities “pump-and-dump’’ network that took more than $31 million from investors around the world. The indictment identified Mazur and Possino as the ringleaders of two intertwined fraud rings. The court documents did not mention Accupoll, which morphed into Rudy Nutrition Inc. in 2008 and was used as the vehicle for another pump-and-dump scheme that the SEC said netted more than $11 million in illicit profits. Sharesleuth’s research also found that Andreea Porcelli was sued in 2009 by a stock promoter named Timothy T. Page, who has been the subject of at least two SEC regulatory proceedings. Page alleged in the complaint that Porcelli sold 2.7 million shares of another company’s stock to foreign investors as part of placement agreement, but failed to forward the proceeds. Page alleged that Continental Advisors was to be the escrow agent for the share transactions. According to the suit, the shares were originally owned by Canturio Funds LLC, an entity linked to Martin T. Cantu. The SEC brought charges against Page and Cantu in 2009 in connection with a fraud scheme involving shares of a company called ConnectAJet.com Inc., which purported to have developed a real-time, online booking system for private jets. The SEC said that no such system existed, and that ConnectAJet was part of a pump-and-dump scheme. Page and Cantu were found liable for securities violations and were ordered to pay nearly $3.8 million in disgorgement, penalties and interest. Cantu also was indicted on criminal charges in connection with the ConnectAJet scheme. The SEC also brought separate charges against Page in 2009 in connection with the unregistered sale of shares in two other companies. He settled without admitting or denying guilt, and agreed to a bar on virtually all activities involving penny stocks. The judge hearing Page’s suit against Porcelli dismissed it without prejudice, on jurisdictional grounds. Porcelli had argued that since she and her husband lived in Italy rather than the United States, the U.S. District Court in California was the wrong venue. Precedo Capital was incorporated in Delaware and operates from Arizona. Its managing partner, Timothy D. Moran, also is a former stock broker. According to a Financial Industry Regulatory Authority document, Moran was terminated by FSC Securities Corp. in 2011 for referring clients to an unapproved investment fund without prior approval. FINRA suspended Moran’s registration earlier this month for failing to comply with an arbitration award or failing to respond to the agency’s questions regarding that award. FINRA also is investigating Moran’s activities in raising money for the investment fund, which turned out to be a fraud. According to the allegations in the FINRA document, Moran’s customers invested nearly $1.7 million in the investment fund. It says he failed to disclose that he had personally provided $150,000 to the fund or that he had received more than $200,000 in compensation for obtaining additional capital. FINRA also alleged that Moran provided false information to its representatives. Although the regulatory authority did not identify the investment fund, other documents show that it was Hampton Capital Markets LLC. The operator of the fund, Thomas L. Hampton, was hit with criminal charges last year in connection with the fund’s collapse. He pleaded guilty in April to a single count of fraud, admitting that he concealed millions in losses He was sentenced to 30 months in prison. The Arizona Corporation Commission also brought proceedings against Moran, Hampton and Hampton Capital, alleging that they were offering or selling unregistered securities and were engaged in fraud in connection with the placement of those securities. Continental Advisors and Precedo Capital filed their suit against Twitter in federal court in New York. They said in their complaint that they had teamed up with GSV Capital Corp. (Nasdaq: GSVC) to market a fund that would be called @GSV Fund LLP and would hold only Twitter stock. GSV Capital is a California company that acquired a portfolio of pre-IPO shares in sought after Internet companies, including Twitter, Facebook Inc. (Nasdaq: FB) and Groupon Inc. (Nasdaq: GRPN). According to the suit, Twitter had authorized GSV Capital to facilitate a secondary market for its nontrading shares. Continental Advisors and Precedo Capital said that they had found people willing to buy the equivalent of $278 million in Twitter stock through the @GSV Fund. They alleged that the failure of Twitter and GSV to go forward with the transactions cost them millions in expenses, commissions and other potential gains. Twitter was quoted in news reports as saying that it had no dealings with Continental Advisors or Precedo Capital. One of Rockwell Medical Inc.’s (Nasdaq: RMTI) biggest long-term shareholders let warrants to buy more than 860,000 shares expire rather than pay $7.18 a share to exercise them. David A. Hagelstein said in a Securities and Exchange Commission filing that a trust he controls did not exercise the warrants by their July 31 expiration date. Rockwell’s stock closed that day at $5.05. Hagelstein had paid $1.9 million to acquire the warrants from their original holders. Hagelstein disclosed in the same filing that he had purchased an additional 164,241 Rockwell shares on the open market, at prices ranging from $3.48 to $5.33. He said he owned 1.99 million Rockwell shares, through two trusts. That amounted to just under 5 percent of the company. Rockwell’s stock closed Tuesday at $5.68, off 33 cents. Had Hagelstein exercised the warrants, the company would have received more than $6 million in additional capital. Rockwell said in its proxy filing in April that Hagelstein controlled 2.67 million shares, including the warrants. That equaled a 12 percent stake, making him its third-largest shareholder after Chief Executive Robert L. Chioini and Richmond Brothers Inc. DIRECTED BY : David F. Sandberg. PRODUCED BY : Michael E. Uslan, Michael Ewing. PRODUCTION BY : Silver Fox Entertainment, DC Entertainment, Callahan Filmworks, DC Comics, New Line Cinema, Warner Bros. Pictures, The Safran Company, Mad Ghost Productions. ‘Shazam!’ is a movie genre Drama, was released in April 3, 2019. David F. Sandberg was directed this movie and starring by Zachary Levi. This movie tell story about A boy is given the ability to become an adult superhero in times of need with a single magic word. Shazam! 2019 live streaming film, Watch Shazam! 2019 For Free online, Watch Shazam! 2019 Online Free, Watch Shazam! 2019 Online Free Viooz, Shazam! 2019 live streaming film online, Shazam! 2019 live streaming movie, trailer movie Shazam! 2019, Shazam! 2019 Watch Online, Watch Shazam! 2019 Online 123movies, Watch Shazam! 2019 Online Free megashare, movie Shazam! trailer, Watch Shazam! 2019 Online 123movie, film Shazam! download, watch Shazam! 2019 movie now, Watch Shazam! 2019 Online Free netflix, Shazam! film download, watch movie Shazam! online now, live streaming movie Shazam! 2019 online, download Shazam! 2019 movie, Shazam! movie trailer, streaming film Shazam! 2019, movie Shazam!, Streaming Shazam! 2019 For Free Online, Watch Shazam! 2019 Online Free Putlocker, Watch Shazam! 2019 Online Putlocker, trailer film Shazam!, Watch Shazam! 2019 Online Viooz, watch Shazam! movie online now, Watch Shazam! 2019 Online Megashare, watch Shazam! 2019 film now, streaming Shazam! film, Streaming Shazam! 2019 Online Free Megashare, Shazam! streaming, Watch Shazam! 2019 Online Free 123movie, Shazam! 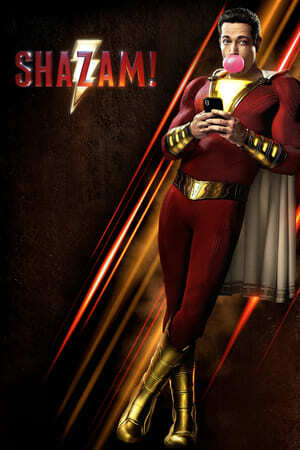 film, download movie Shazam! 2019, Watch Shazam! 2019 Online Free hulu. The shares of Kandi Technologies Group Inc. (Nasdaq: KNDI) more than doubled last month, aided by an eye-popping surge in volume that followed a routine press release. Kandi’s stock shot from $3.92 on June 4 to an all-time high of $8.50 on June 11, after the company announced that the Chinese government had approved the electric car it is developing with Geely Automotive Holdings Ltd. for sales and eventual subsidies. Trading volume on the day that the release came out topped 18.7 million shares, an amount roughly equal to Kandi’s public float. Since then, an additional 82 million shares have changed hands. Sharesleuth, which previously raised questions about Kandi and the people who helped bring it public, detected a spate of unusual activity on stock message boards and social media sites at the time the company’s shares were surging. We identified a pattern of postings, on multiple sites under multiple user names, which suggested a coordinated effort to tout Kandi’s shares. Among other things, a group of new posters appeared on the Kandi message board at Yahoo Finance, issuing baseless price targets for the company’s stock, predicting an imminent short squeeze and even suggesting that Kandi was a buyout target. We noted that several of the posters – “megsboats’’ and “stockticklers,” for instance — were touting three other companies on the Yahoo Finance boards at the same time they were touting Kandi. Those companies were Renren Inc. (NYSE: RENN), the National Bank of Greece (NYSE: NBG) and Tranzbyte Corp. (Pink Sheets: ERBB). We also noted that at least six Twitter accounts began posting about Kandi, with a common set of messages. Like the posters on Yahoo Finance, the people behind the Twitter accounts touted Renren, National Bank of Greece and Tranzbyte, too. Their tweets, combined with dozens of additional ones on accounts whose links led to stock-promotion sites, made it appear that Kandi had generated more buzz in social media circles than it actually had. At the end of that week, just after Kandi’s shares hit new high in intraday trading, something unusual happened. Nearly all of those promotional posts about the company disappeared from the Yahoo boards, along with the posters. The messages promoting Kandi on the Twitter accounts we were watching also were deleted, as were some of the tweets touting Renren, Tranzbyte and the National Bank of Greece. Although the people behind the tout campaign tried to make the messages disappear, some of their posts were preserved elsewhere, through Google’s caching system and the Nasdaq exchange’s own summary of social media posts about public companies. DIRECTED BY : Ryan Fleck, Anna Boden. PRODUCED BY : Kevin Feige. PRODUCTION BY : Marvel Studios. 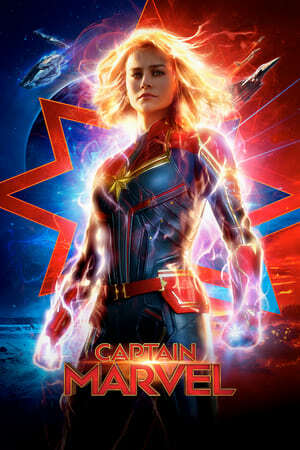 Captain Marvel 2019 Watch Online, Watch Captain Marvel 2019 Online Free hulu, Watch Captain Marvel 2019 Online 123movies, watch film Captain Marvel 2019 now, Streaming Captain Marvel 2019 Online Free Megashare, Watch Captain Marvel 2019 Online 123movie, film Captain Marvel online streaming, watch full Captain Marvel movie, Captain Marvel 2019 film download, Watch Captain Marvel 2019 Online Free Viooz, download film Captain Marvel now, Captain Marvel 2019 live streaming film online, watch movie Captain Marvel online now, watch full Captain Marvel movie online, Watch Captain Marvel 2019 Online Viooz, Captain Marvel 2019 streaming, Captain Marvel 2019 live streaming movie, Watch Captain Marvel 2019 Online Megashare, Watch Captain Marvel 2019 Online Free netflix, Watch Captain Marvel 2019 Online Free megashare, Watch Captain Marvel 2019 Online Free Putlocker, Watch Captain Marvel 2019 Online Putlocker, streaming movie Captain Marvel, Watch Captain Marvel 2019 Online Free 123movie, download full movie Captain Marvel, Streaming Captain Marvel 2019 For Free Online, live streaming film Captain Marvel, Watch Captain Marvel 2019 For Free online, Captain Marvel 2019 movie, Watch Captain Marvel 2019 Online Free, watch Captain Marvel 2019 film online now, download Captain Marvel movie. Federal prosecutors have reached a plea agreement with one of 15 people alleged to have participated in an international pump-and-dump ring that netted more than $30 million. Court records show that Mark Harris, a stock promoter who lives in Arizona, pleaded guilty to conspiracy in one of two related criminal cases. According to a document submitted last week, Harris will not be sentenced until after the trials in those cases, which currently are set for next March and June, respectively. It is unclear whether Harris has agreed to testify against the other defendants in the case. A filing spelling out the specifics of his plea deal was sealed by the judge. Prosecutors have identified the architects of the two schemes as Regis M. Possino, a disbarred lawyer with convictions for drug dealing and fraud, and Sherman Mazur, a former real estate mogul who also has a prior conviction for fraud. They once operated from a shared office space in Santa Monica, Calif.
Possino and two other defendants, Edon Moyal and Colin Nix, were spotlighted in previous Sharesleuth investigations (see stories here and here ) . The indictments announced earlier this year allege that Possino and Mazur headed two intertwined networks that fraudulently inflated the share prices of small public companies before dumping their holdings on unsuspecting investors. The indictments said the participants in the schemes acquired a large percentage of the shares in those companies and distributed those shares to nominees to conceal their ownership. They boosted the share prices through manipulative trading and misleading press releases, then sold the shares. Authorities said the schemes defrauded more than 20,000 investors in the United States and abroad. They said the participants in one set of alleged pump-and-dumps reaped more than $18 million, while those in the other made at least $13 million. Harris, Possino, Moyal and Nix are defendants in both cases. The public companies used as vehicles in the schemes included Sports Endurance Inc. (OTCBB: SENZ); GenMed Holding Corp. (OTCBB: GENM) and BioStem U.S. Corp. (OTCBB: HAIR). According to an article in the Vancouver Sun, Harris made a fortune in the 1980s and 1990s working for offshore boiler rooms that used high-pressure sales tactics to sell shares of dubious companies to investors around the world. Those activities were disclosed as part of a contentious divorce case. More recently, Harris has worked to promote the shares of penny-stock companies. Among other things, he paid others to conduct tout campaigns on behalf of those companies.